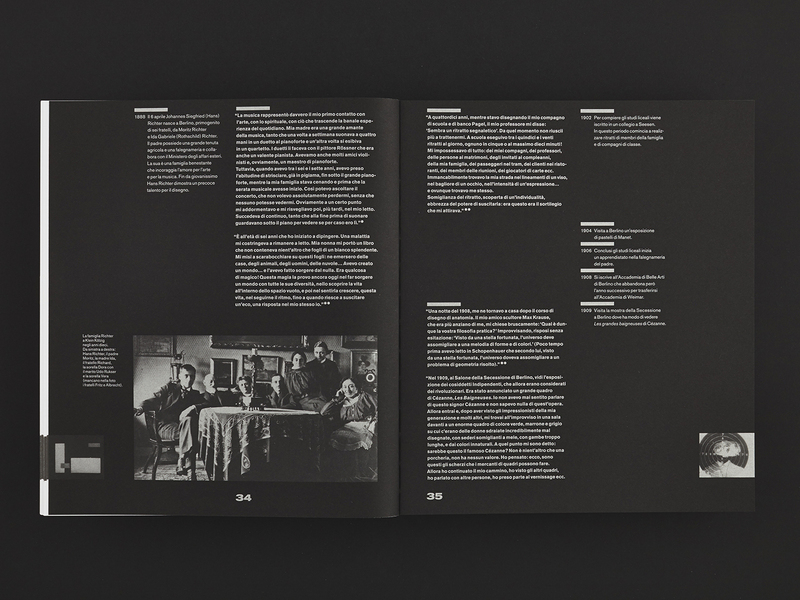 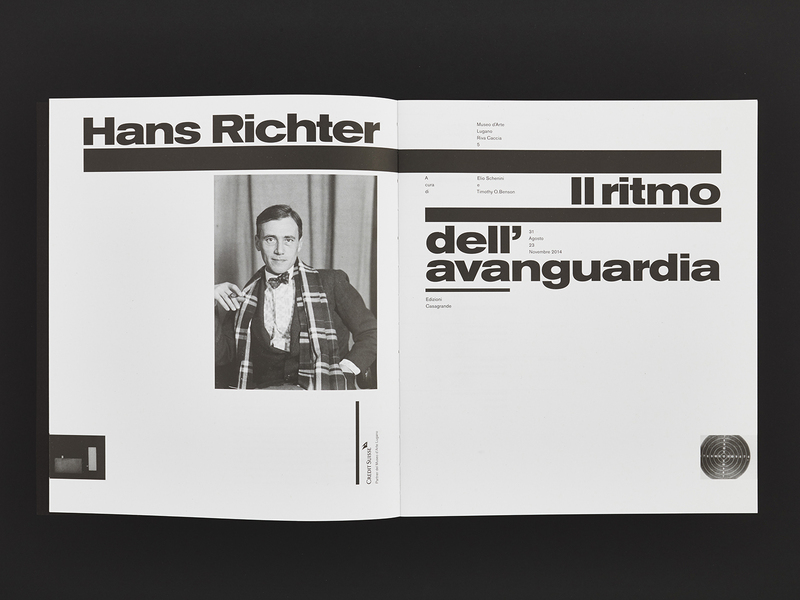 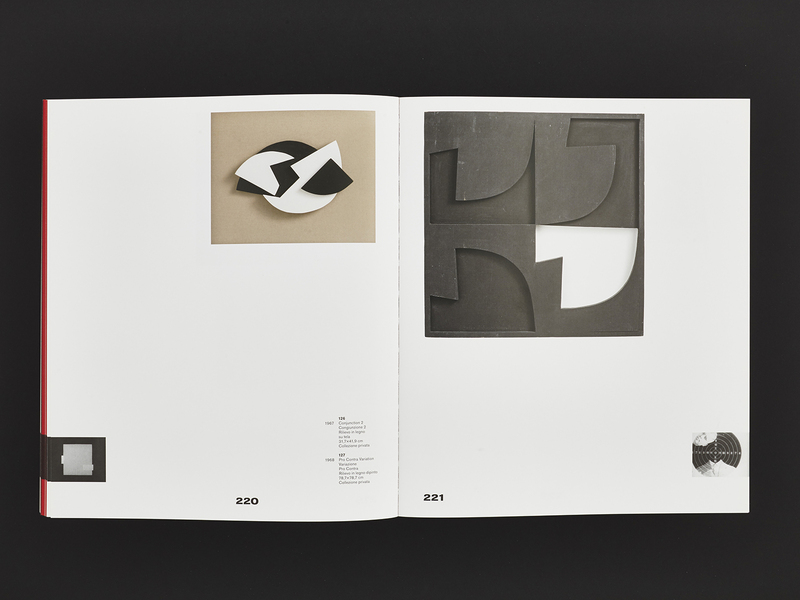 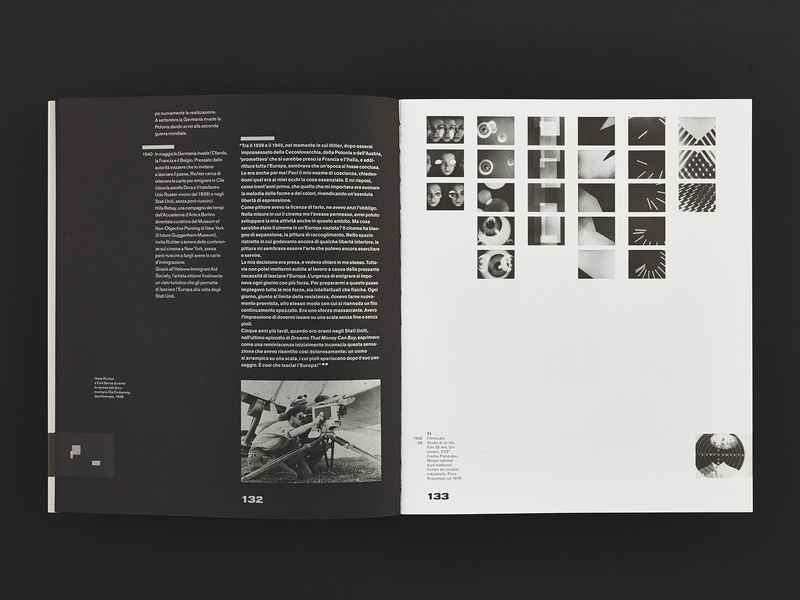 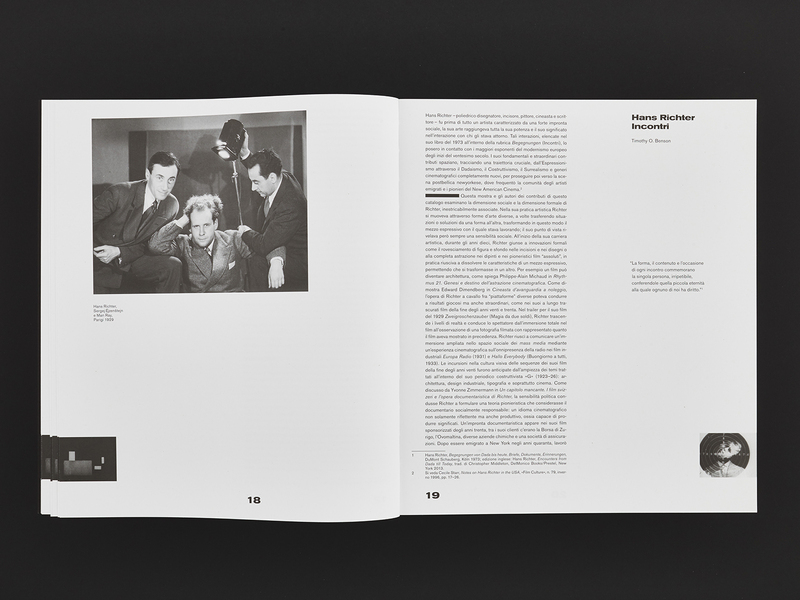 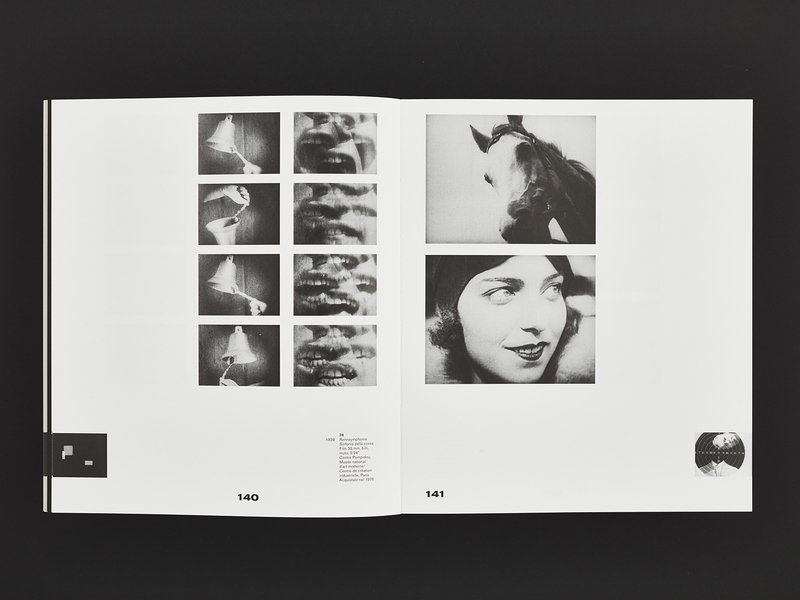 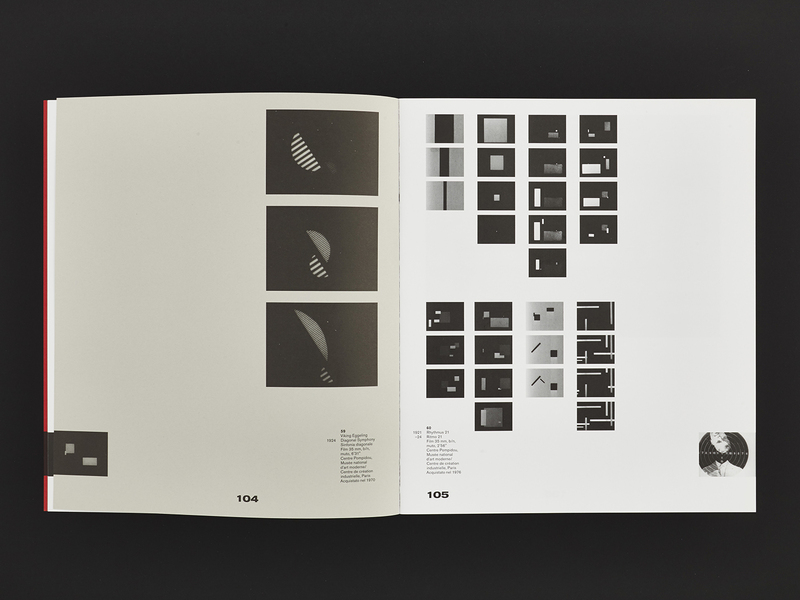 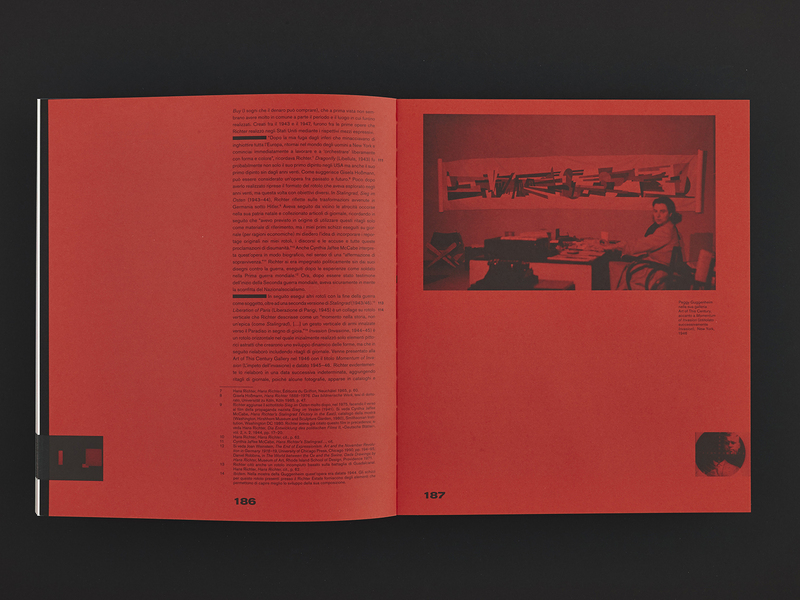 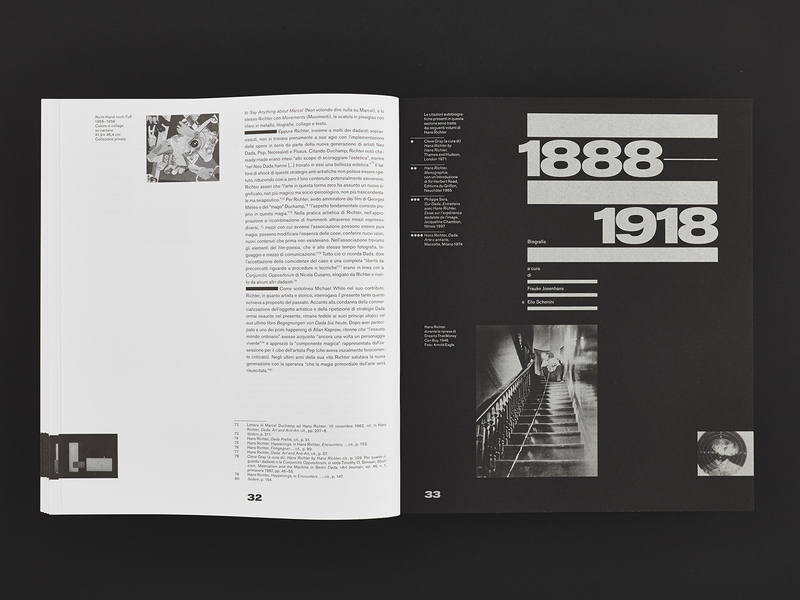 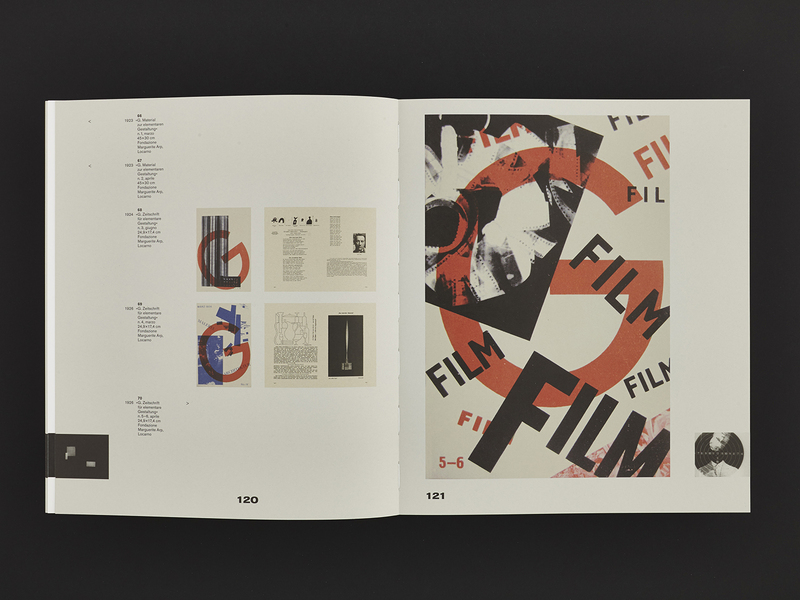 The rhythm, and the processing of that topic, in all its variations, is the main theme for the Hans Richter monographic exhibition.The whole project is based on this principle, developing a strong identity based on the typographic transparency as a tool to communicate Richter’s vision of arts, and a wider vision of his world, across all media. 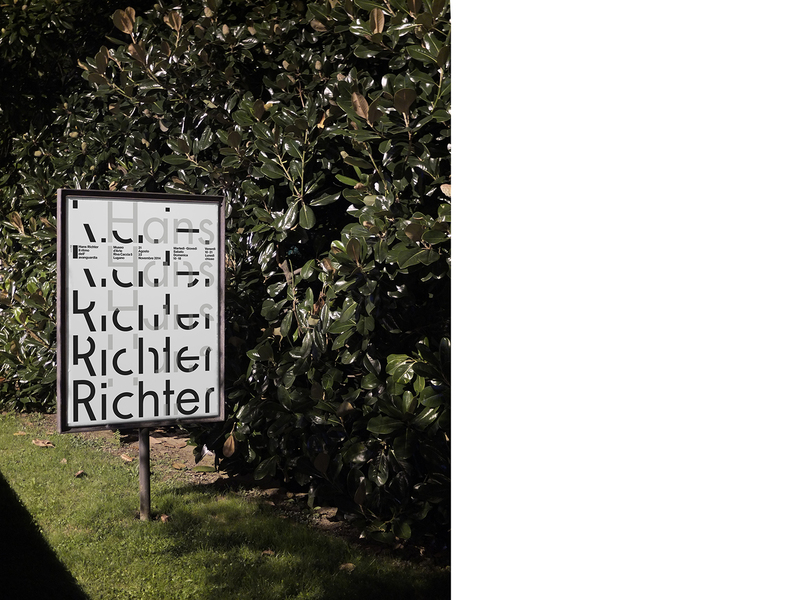 The poster is designed to be installed with other two printed detail of some artist’s work in order to make a triptych. 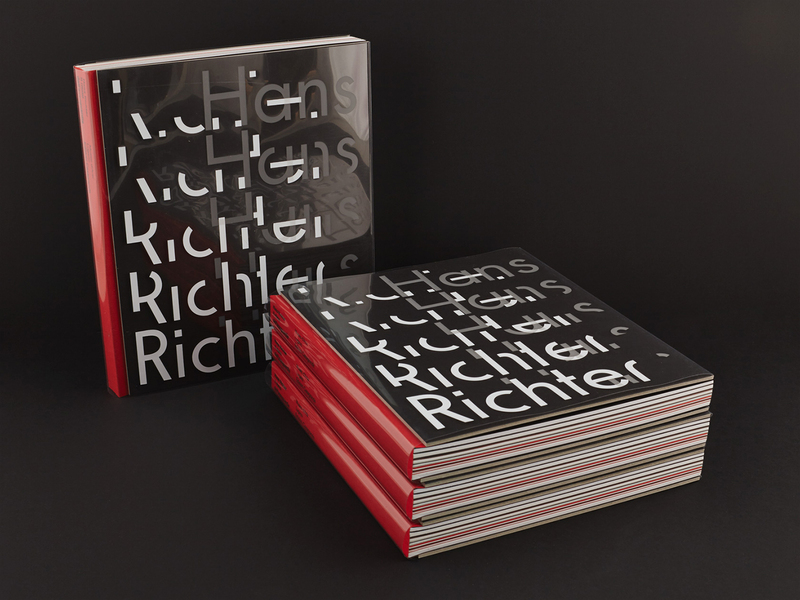 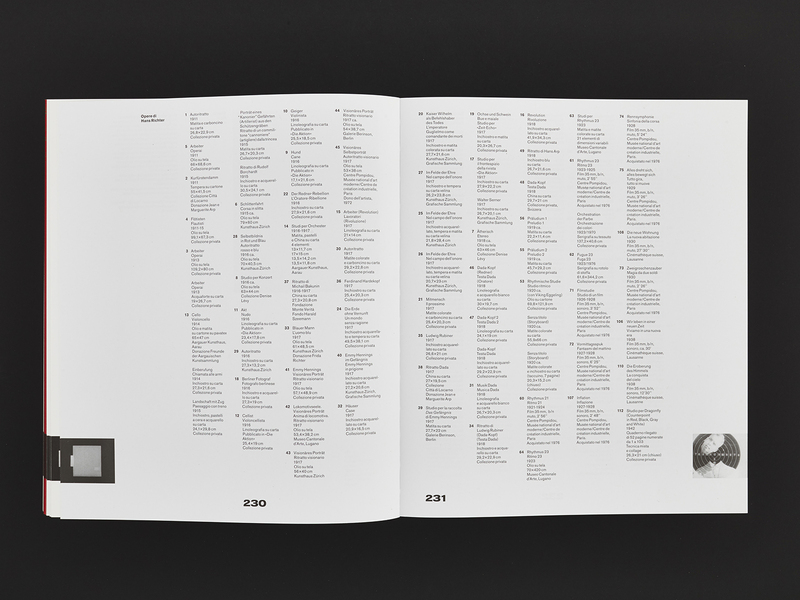 The book is printed on different papers to obtain a visual rhythm even on the spine, when the book is closed. 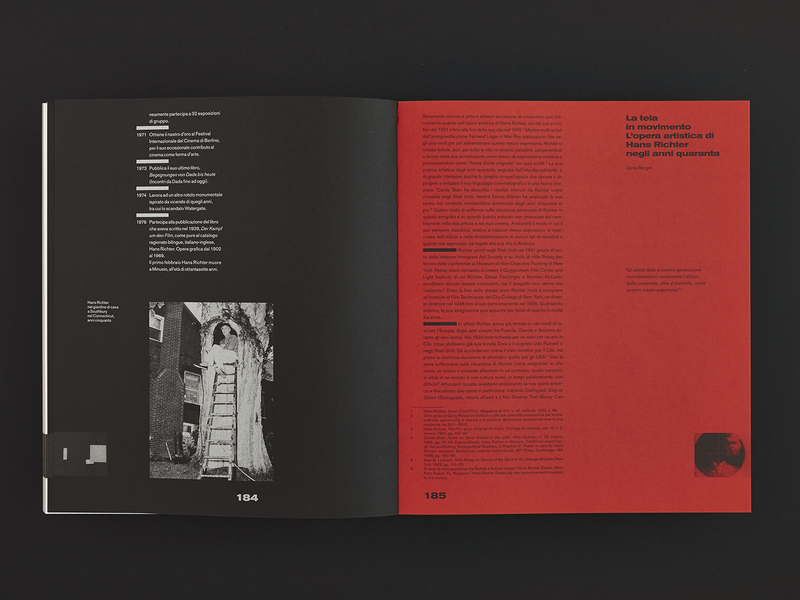 Project in collaboration with Sidi Vanetti.